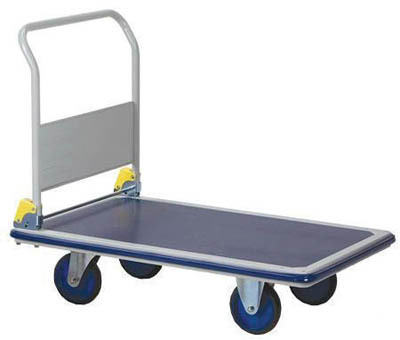 Highly durable welded steel trolleys with a foldable handle. Non-slip PVC platform surface, ensures maximum grip of load when in transit. All round buffer strip protects walls and door frames when the truck is in use. Welded steel construction. Two fixed and two rear swivel non-marking tyres.